I show the figure below in black and white in Volume 3, figure 136.7, noting that it may be decorated in underglaze colors. Indeed it is, as this old catalog image shows. I now know the man appears to be a soldier and has GR on his hat, so it is possible that this group has nothing to do with the menagerie incident. On the other hand, the menagerie incident, we know now, was a puff piece, disseminated for its sensational appeal only, and it probably didn't happen. Although newspapers across the country quickly spread the word, they printed retractions starting just days later. Staffordshire's potters were quick to jump on the wagon, as the figures in chapter 136 attest. 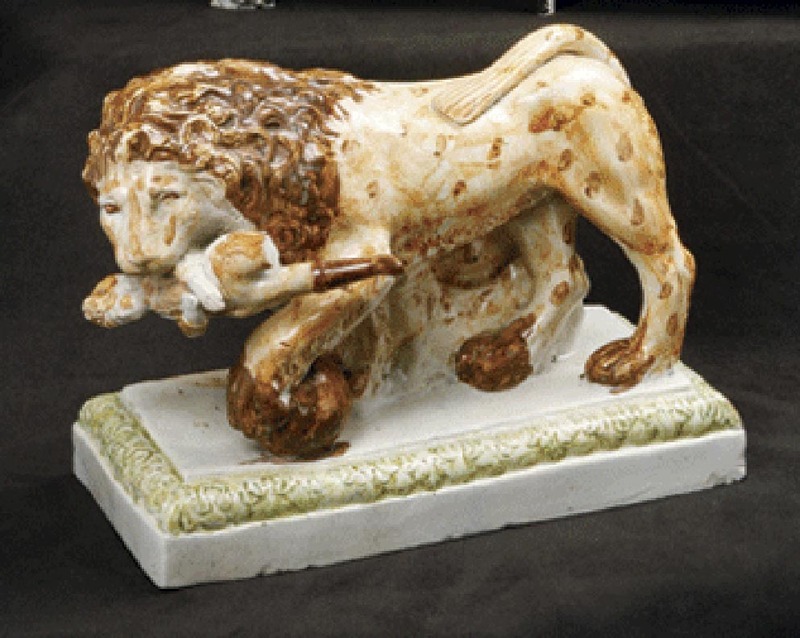 The figures in chapter 136 repeatedly show that Staffordshire potters thought one of the victims of the widely reported menagerie incident to be a black man. Here is another group apparently inspired by the account. 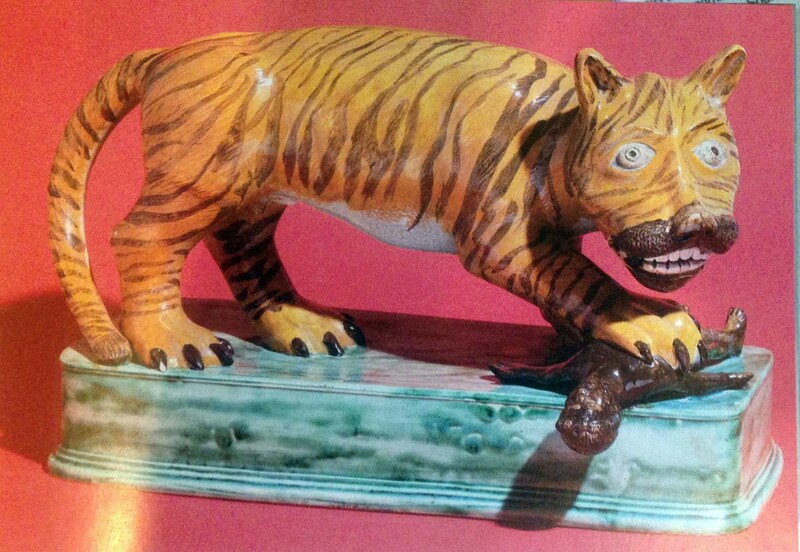 This image is from one of Jonathan Horne's exhibition catalogs.